This Holiday Season rhubarb-mincemeat-pie is just full of currants, apples, rum, cranberries and more to make this dish a festive favorite. 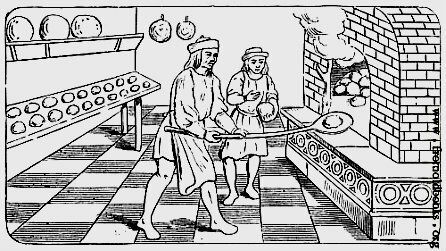 Mincemeat was "created" as a way of storing and preserving food years ago. Modern mincemeat ingredients are normally an assortment of fruits and spices. 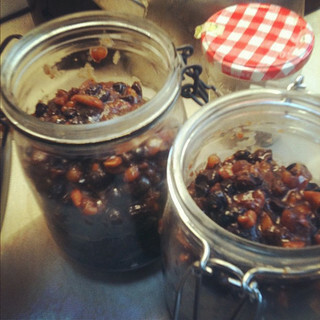 Brandy or rum is added as a preservative and to give the mincemeat a tart taste. Apple cider can be used instead of the alcohol. Mincemeat pies and tarts recipes are very common during the Christmas holidays. pie shell is filled out with apples for example. Mincemeat pies are topped with lattice or a single crust. Sugar is sprinkled on the top to contribute to the sweet taste. It just wouldn't be Christmas without a little mincemeat somewhere on the menu. Simmer all ingredients for 30 - 40 minutes. Pour into a bottle and seal until you are ready to make a rhubarb mincemeat pie. 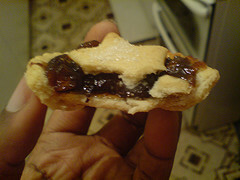 Put 2 1/2 cups of mincemeat into your pie shell. Cover the mincemeat with a mixture of apple slices and cranberries mixed with a bit of orange juice. Do not pile the apples too high. Cover with a top crust that is solid, or cut into lattice strips. You can also cut shapes out of your top crust and simply lay them in a pattern on top. Place on a cookie sheet and bake at 425F for 15 minutes. Reduce the heat to 350F and continue baking for 35 - 40 minutes until filling starts to bubble. Did you know that mincemeat mixture freezes well in bags or containers? As long as you have some rhubarb, you could make this anytime you wanted. You could certainly be very ready for Christmas without much mess at all. It's really great to have certain things made ahead of time in such a busy season. Enjoy!